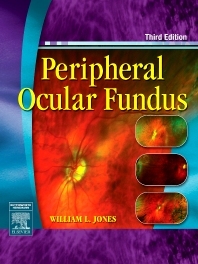 Well organized and comprehensive, this text is richly illustrated with full-color photographs to assist with diagnosis and treatment of disorders of the peripheral ocular fundus. It covers developmental anomalies of the peripheral retina, ora serrata, and pars plana, with emphasis placed on degeneration and anomalies of the retina and vitreous which have the potential for producing a retinal break or detachment. Each condition includes a clinical description, histopathology, clinical significance, and brief discussions of treatment.